Key West Real Estate. Real Estate Agents Key West. Real Estate Key West, Florida. o, you're thinking about moving to Paradise and buying Key West Real Estate? The first thing you need to know is that "paradise" doesn't come cheap. The cost of living here is high and salaries are, many times, lower than the rest of the country. If you are looking to buy Key West property, you will have plenty of options to buy property in Key West. Prices will vary depending upon the area of town (the Old Town real estate or downtown Key West area is more expensive). If you are looking for a type of Key West house or Key West condo to buy, if you are looking for Key West waterfront property, or if you want to buy an old historic Key West home with all the amenities that come along with it. Key West Commercial properties are also available as well as short and long term office rentals. There are many realtors, agents and brokers in Key West, with many listings to accommodate your commercial real estate needs. If you're in Key West, FL for the short term, or just want to try it out for a season or two, Keys vacation renting may be the way to go. There are plenty of vacation rentals to choose from: houses, apartments, and condos for lease. Apartments are sometimes part of a private compound and may include a shared pool and common area. Low-income housing is available, but sometimes hard to find. A visit to the paradise of Key West, Florida may be all that you want. A Key West vacation rental is often a nice alternative to staying in a hotel or resort. Availability will depend on the area and your length of stay. 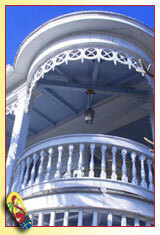 Real estate in Key West is big business in Florida, and Real Estate companies, agents and brokers abound. Many of them have links, with listings, on this website, and you may just find your key to paradise waiting for you here.